The All New, All Daring Delusional Honesty! 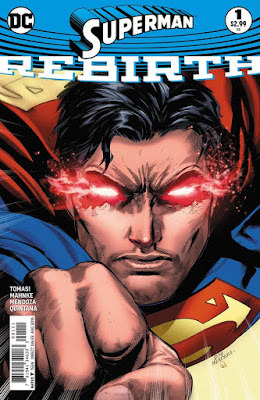 : Of Spider-Clones and Supermen: Why "Superman: Rebirth" Is the New "Clone Saga"
Superman is, in fact, Ben Reilly. And it's all happening again. Maybe I'm being a bit sensationalist, but cut me a line's slack, all right? 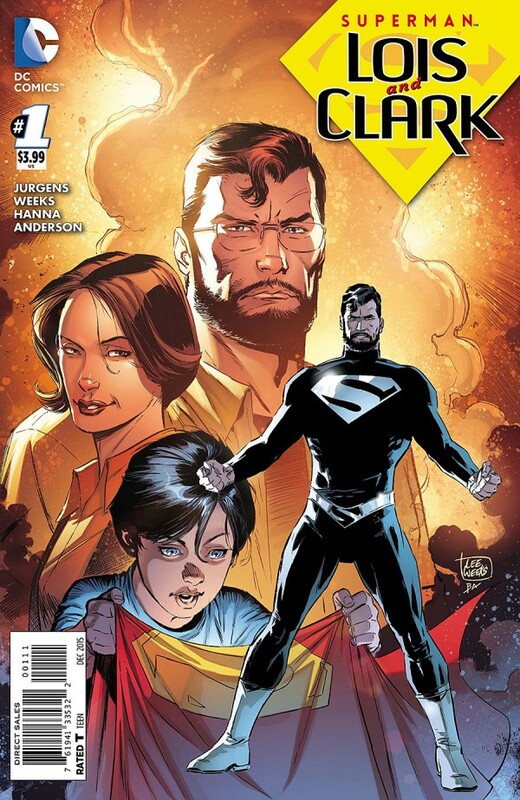 Superman is Clark Kent, the other-dimensional double of the New 52's very own Superman--a "brother" of sorts. He's who fans think of as the "real" Superman, returned after a few years real-time and DC-time to again assume the Superman identity upon his "brother's" death. In the meantime, two other Supermen were created with Clark's powers, and one perished trying to kill the New 52 version. Now, Superman, his wife Lois, and their son Jon try to keep their identities secret, with Clark living the life of a simple farmer under an assumed name. He can't take this universe's Clark's place, because everybody knows Clark was also the deceased Superman. There could be many "lost" tales from the period he was gone. And he's not wholly familiar with the New 52 Superman's foes. 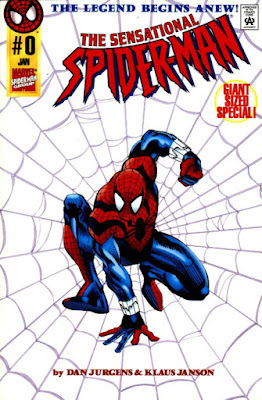 Spider-Man is Ben Reilly, first believed to be the clone of Peter Parker but newly revealed to be the "real" Parker, returned after a few years Marvel-time to again assume the Spider-Man identity upon his "brother's" having moved to Portland with his pregnant wife. In the meantime, two other Spider-Clones were created, and one apparently perished trying to kill the other Parker. Now, Spider-Man continues to keep his identity secret, living the life of a simple barista under the assumed name of Ben Reilly. He can't take the place of the man who'd lived his life the last few years, because everybody knows Peter is married to Mary Jane Watson and they're expecting a child out in Portland. There are many tales from his "lost years." Oh! And he's not wholly familiar with "Peter's" foes. 1.) The Superman we knew, who starred in his own series between 1986 and 2011, is essentially cast in the same predicament as Ben Reilly in 1995. The powers that be wanted Ben to assume the role of Peter Parker in addition to Spider-Man, however temporarily, but he couldn't because his status quo was just too different. People on the street in the Marvel Universe knew Peter was happily married to Mary Jane, and the editors and writers were woefully unprepared for the kind of gymnastics of squeezing Ben into Peter's life. Hence, he became a blond-haired barista. Here, DC's got a Superman obviously older than his New 52 counterpart and so easily recognizable as different from the New 52 Clark Kent. Plus, add the complication of New 52 Superman having been outed as Clark, and is there truly any suspension of disbelief remaining among Metropolitans? The bottom line is, as it was with Ben Reilly, barring another Cosmic Reset Button, it's going to be exceptionally difficult squeezing the Clark Kent from 2011 into the milieu of New 52 Clark, with specific relationships and traits the public associates with the character. Everyone wants Superman to fit in that box he's been in since 1938: "...and who, disguised as Clark Kent, mild mannered reporter for a great metropolitan newspaper, fights the never ending battle for Truth, Justice and the American Way." 3.) Off the above point, they're already introducing "another" Clark Kent whom, I'm guessing, DC will use to try to re-establish a secret identity for Post-Crisis Supes. But, but, but, how do they deal with the age problem? And the fact there are two Lois Lanes, one of whom is Superwoman and the other of whom is a wife, mother and successful author? And the fact Clark now has a son? 4.) In an inversion of said Clone Saga, it's really unusual--and, hence, remarkable--that DC has chosen to replace a young, single Superman with an older one who's married and has a son. Compare that to the Clone Saga, where Marvel specifically made Mary Jane pregnant as a sort of "ticking time bomb" to allow her and Peter's exit from the series in favor of the single Ben Reilly. (Of course, MJ ended up staying pregnant for much of the storyline's two-year span, and the child, a daughter named "Mayday," only ended up being born in a What If...? storyline that spun off into Marvel's next-gen "MC2" universe.) It's common comic editors' logic that readers don't like their heroes to be married or have children, as doing both has the appearance of "aging" said hero and thus disengaging readers who are still presumed to be young boys and teens. (The lone exception, historically, having been Mr. Fantastic and the Invisible Woman of the Fantastic Four.) So, is a married-with-child Superman really the best status quo for the character? Time will tell. 5.) Point on a "young, single" Superman: we're getting one courtesy writer Gene Luen Yang in a few months with The Super-Man, a spinoff featuring one of those ersatz Supermen I discussed a few points above. 6.) Lastly, isn't it interesting that writer Dan Jurgens has been involved in roughly the same "adjustment era" of both series? Dan not only wrote the recent, quite excellent Superman: Lois & Clark miniseries and is writer of the new Action Comics, he was also writer and artist of The Sensational Spider-Man where Ben Reilly first dyed his hair and started living the barista life! Funny, too, how it is that Marvel has recently decided to dip back into the Clone Saga well with "The Clone Conspiracy," featuring the return of the Jackal as well as many dead characters returned to life. Do you think DC will succeed where Marvel failed, and fully reintegrate both Clark Kent and Superman into their new status quo?